Hey Essay Fiesta fans! Are you getting excited for our next show (Jan. 16 at 7 p.m. at the Book Cellar)? Well you should be! We’ve got a ton of new writers. 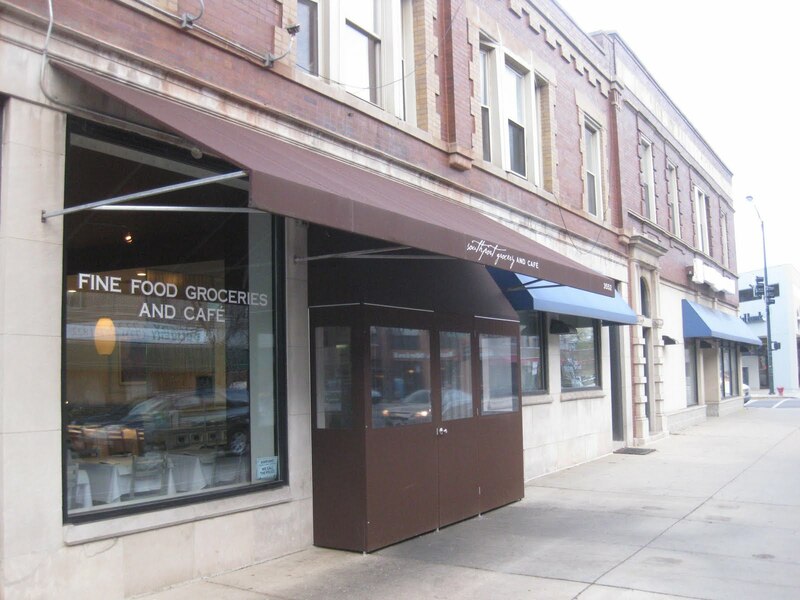 But in addition to that, we’ve also got a new raffle donor: the delicious Southport Grocery & Cafe. The local eatery has generously donated a year’s supply of gift certificates to help fund our charity raffle, which supports 826CHI. BUT THAT’S NOT ALL! We are announcing our new Sponsorship and Partner program. Here’s how it works. If you own or work at a local business that would like to contribute to Essay Fiesta, through either raffle donations or direct monetary donations to help cover the operating costs of Essay Fiesta, you are eligible for the program. So what’s in it for you? An amazing hyperlocal cause-marketing platform, that’s what! And what does that string of nonsense mean? It means you will be seen as an organization that cares about interacting with the community, from artists to residents to local businesses. It will also put your businesses’ name in front of more than 1,000 new customers each year. And depending on the extent of your contribution, you may receive additional promotion through our newsletter, blog and Facebook page. Plus, you’re doing good in the world, which is always awesome. So what’s the difference between a Sponsor and a Partner? Glad you asked! A Sponsor is our highest level of involvement for our corporate donors. It provides you with mentions in our blog, all our press releases, our Facebook page and all our newsletters. You’ll also be mentioned at each Essay Fiesta show. It requires a year’s worth of donations from your business (12 or more of something) and a monetary contribution to help cover our operating costs. Below this are our partners. We currently have three tiers of partnerships available. The Grande Partnership is our introductory partnership. To qualify, you just need to either donate to our raffle once or provide a direct donation to Essay Fiesta ($50 or more). We’ll mention you at our show, you’ll be listed as a partner on our blog, and you’ll be mentioned on that month’s newsletter and press release. The Muy Grande Partnership requires that you provide us with with three months worth of prizes or provide us with a direct donation ($100 or more). With this, you’ll get everything offered with our Grande Partnership multiplied by 3 (mentioned at 3 shows, included on 3 newsletter and press releases, etc.). The Grande Xtreme Partnership requires that you provide at least six months worth of prizes and provide us with a direct donation ($100 or more). With this, you’ll get 6 live mentions, 6 press release and newsletter mentions and all that other fun stuff we give the rest of our partners. If you have questions about our program or are interested in participating, contact Essay Fiesta producer Keith Ecker at keithecker [at] gmail.com.